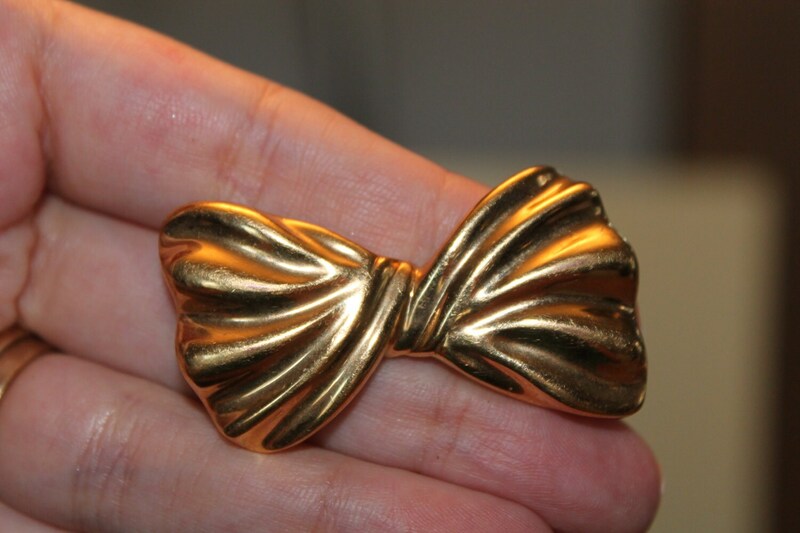 Beautiful rare original FRENCH Couture FRANCOIS MAROT Paris Vintage Bow brooch gold metal, textured details, perfect. It is almost impossible to find the jewelry made by Francois Marot, but I've found it! 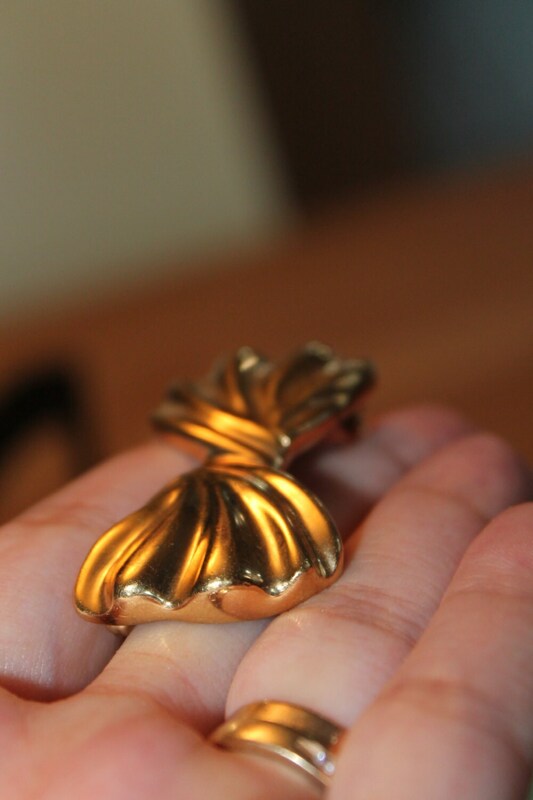 Very 3D, cute , great couture on your palm. Measures: 2 " inches long and 1" wide in the widest point. Signed Francois Marot Paris with his signature-dog sign on the back of the brooch. 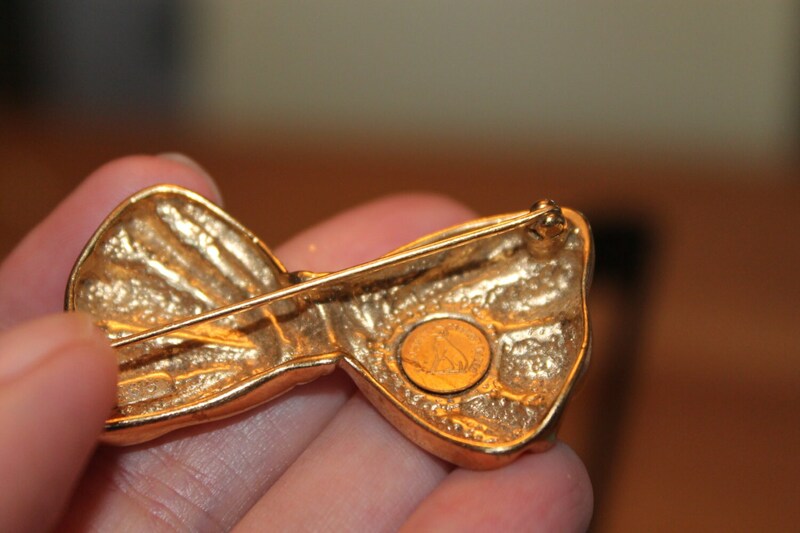 Made in the shape of a bow, very touchable and realistic looking. 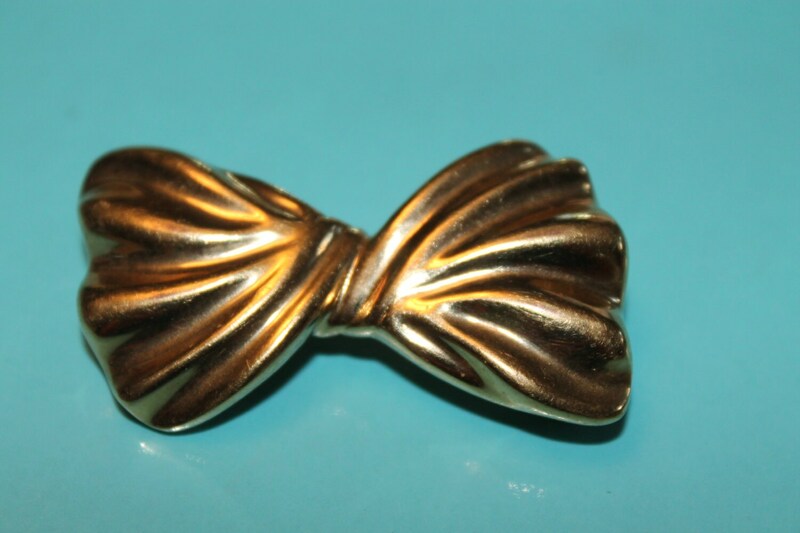 Beautiful shiny gold plated metal.